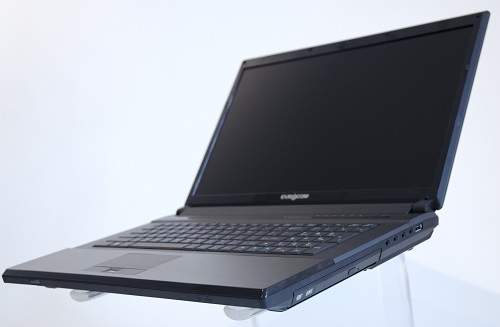 Eurocom (www.Eurocom.com), is shipping the NVIDIA Quadro K5100M mobile professional graphics solution with 8 GB graphics memory in its custom built Neptune 3.0 Mobile Workstation. “With 1536 CUDA Cores and 8 GB graphics memory, the NVIDIA Quadro K5100M mobile professional graphics solution gives our Neptune 3.0 Mobile Workstation another level of performance for our professional clients to accelerate and mobilize their workflows. The staggering 8 GB of frame buffer capacity allows our clients to work with larger models and designs while improving the entire design process” Mark Bialic, Eurocom President. The EUROCOM Neptune 3.0 is fully customizable, allowing customer to choose exactly the components they require for their task. From NVIDIA Quadro K5100M graphics to 4th Generation Intel Core i7 Processors Extreme. Eurocom Mobile Workstations are designed for the new breed of Engineer who must travel but still needs access to powerful, reliable and long lasting professional grade hardware. The EUROCOM Neptune 3.0 supports Enterprise level Solid State storage, up to 5 drives with RAID 0,1,5,10 capability for the best in performance, capacity and redundancy. With all of the performance and capability inside the Neptune 3.0, it is still extremely portable, weighing in at 4 kg and being only 1.6 inches thin. The EUROCOM Neptune 3.0 has multiple choices of 17.3” Full HD 16:9, 1920x1080 displays, with choices of Matte and Glossy.